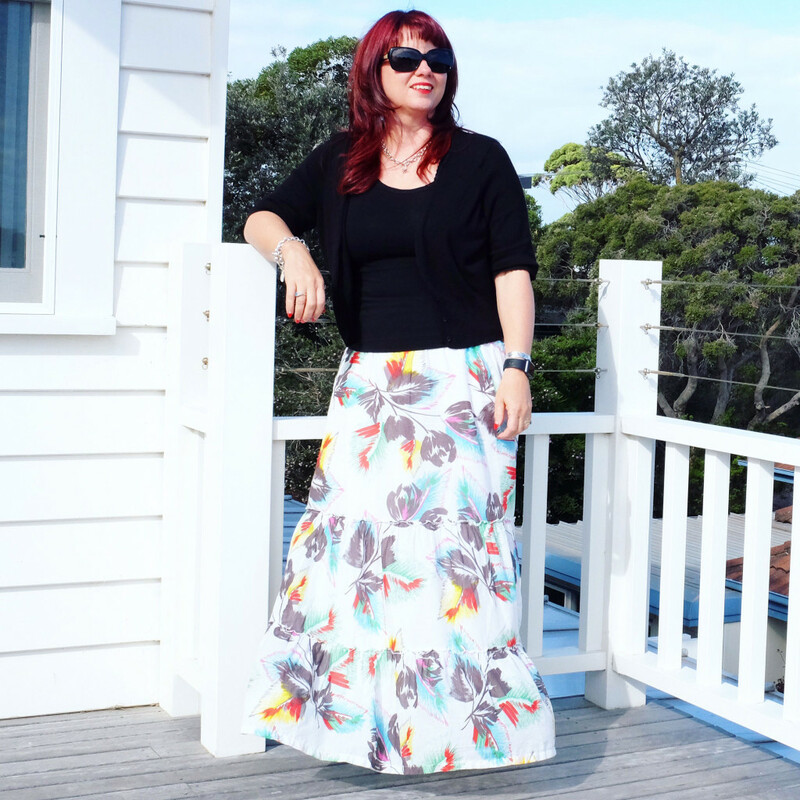 Last week, I featured the button up skirt…this week, I turn the spotlight onto the full length maxi skirt! I am short…just on 5 foot…and for years, I always thought that I couldn’t wear long skirts…that they would make look even shorter then what I was! I also used to think that long skirts were somehow more formal and not for everyday wear. 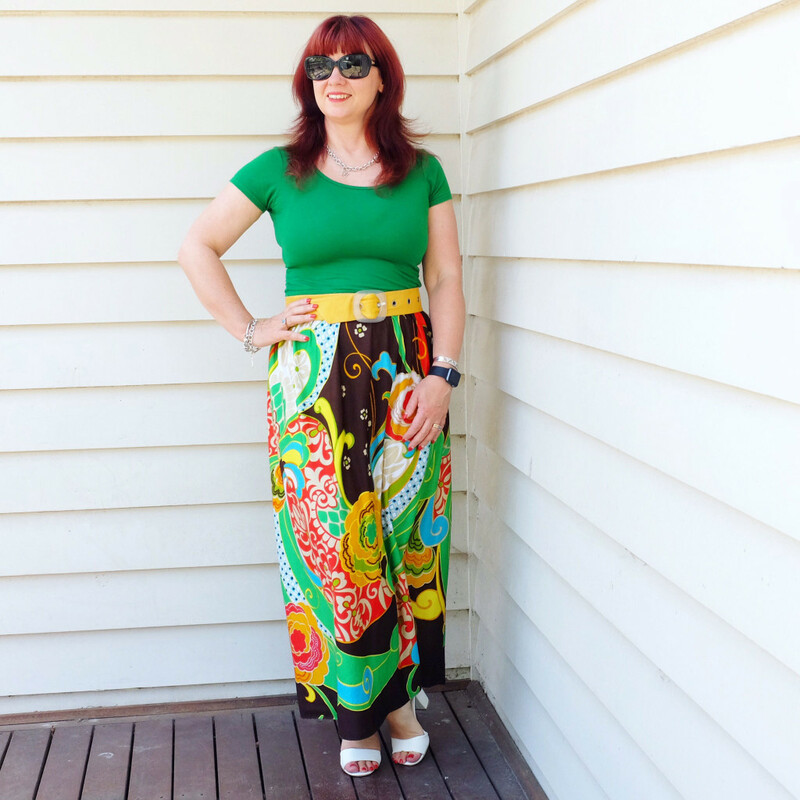 Then I discovered vintage…and in particular, one gorgeous maxi…and I was hooked. 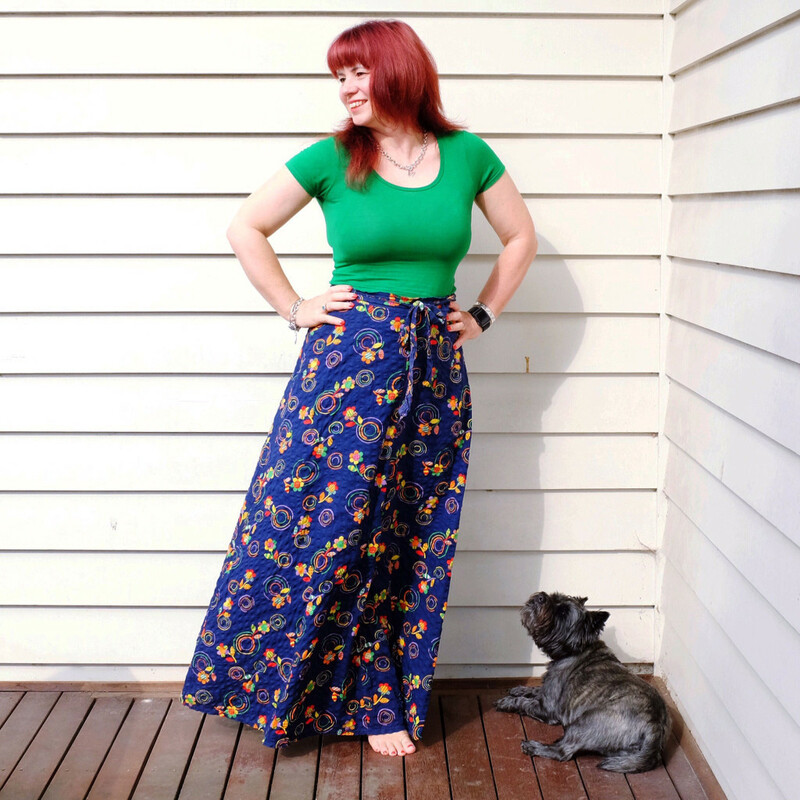 By definition, the maxi skirt is slightly full, skimming over the hips and falling to the floor….they usually sit at the natural waist, which suits my shape perfectly. Now, the beauty of maxi skirts is that they never really go out of style. They were especially popular during the 70s with the hippies loving long, flowing skirts. The 80s did see them disappear a bit, overwhelmed by the power dressing..but by the 90s, they started to appear again. So, hems go up…and down…but nowadays, it seems you can always find floor length skirts in the trend-following retail stores, no matter what the season. But the fact that they don’t go out of style also means you can find them for a fraction of the cost at op shops. And even better, you can find fabulously unique ones in the vintage stores! Maxi skirts are very forgiving in the sense they hide everything from the waist down…the trick is not to let the skirt wear you. If the skirt is patterned, it is best to go for a matching colour on top…I usually wear a black or white cropped top, although sometimes choose a feature colour, such as green. 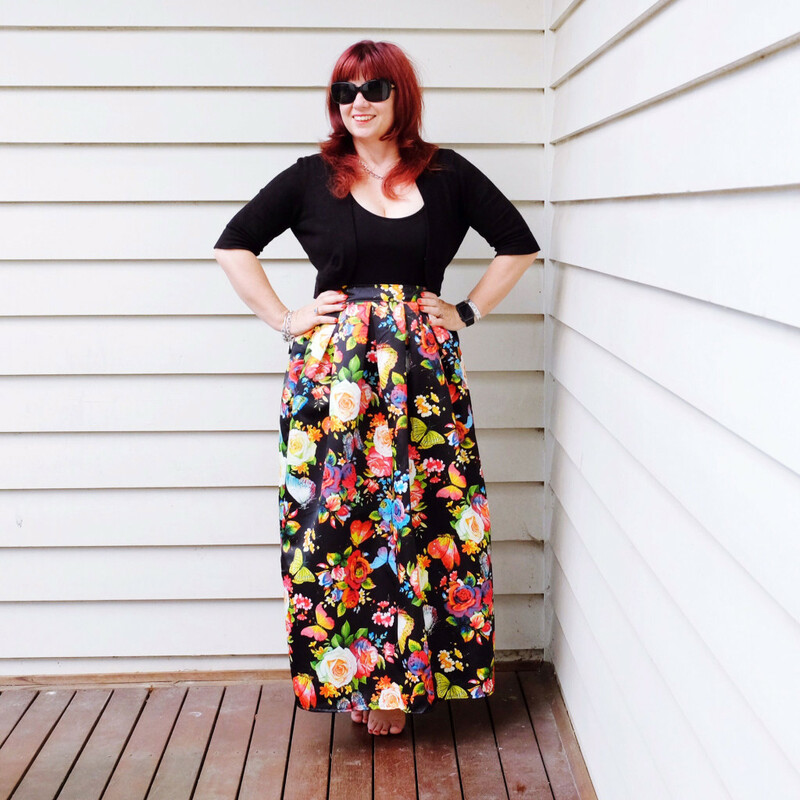 I often like to wear a waist belt to give some shape and I have to admit that well fitting maxi skirt makes me feel taller…. Maxis work for both summer and winter…warmer weather means sandals and t-shirts, cold weather calls for boots, tights and a jacket…. One word of warning when wearing a maxi skirt…make sure the length is correct for you…ie not too long…otherwise you will trip over…constantly. I now know to make sure I lift the skirt up when climbing stairs, otherwise down I go. 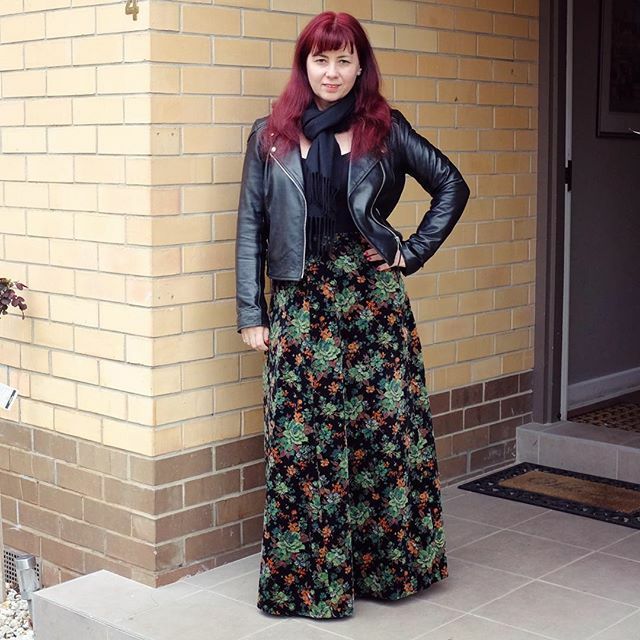 But don’t let that put you off…maxi skirts are a fabulous addition to everyone’s wardrobe! 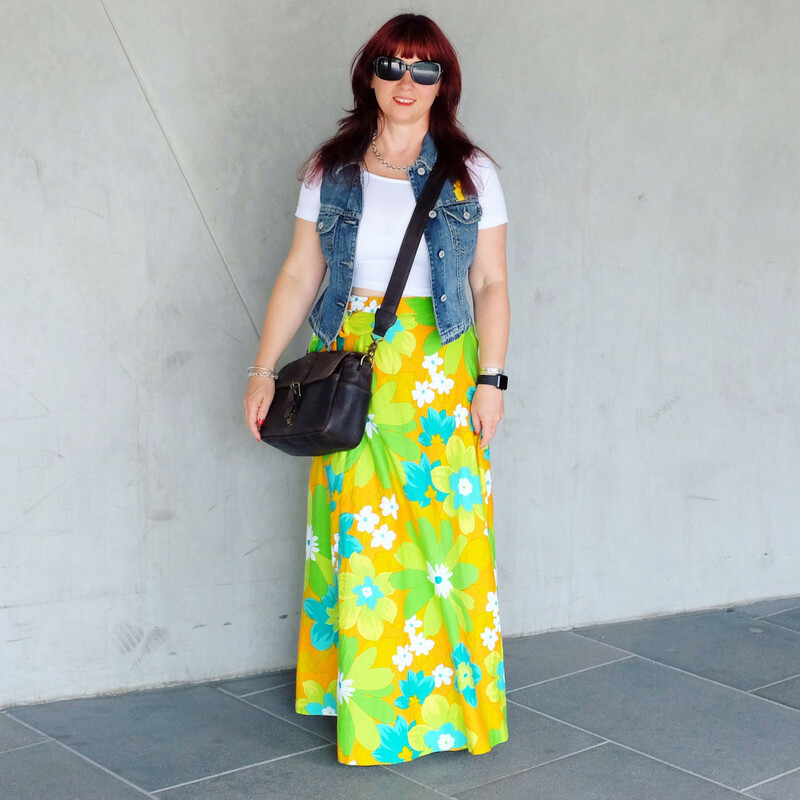 Do you wear maxi skirts? What do you love about them?